According to the World Health Organization, there are around 529,000 new cases of oral cancer (lip, oral cavity, and pharynx) worldwide, with mortality rates reaching up to 292,000 deaths annually. It is estimated that, within the U.S., over 48,000 people will be diagnosed with carcinoma this year with over 9,500 of those cases resulting in deaths, killing roughly one person per hour, per day. Historically the death rate related to this cancer is especially high because of late-stage identification and intervention. Currently, the overwhelming majority of patients with these types of cancers are detected through a visual exam and/or is symptomatic; at a point that it’s considered to be late stage. As a result, oral cancer typically goes undiscovered until it is metastasizing. If detected early enough, the cancer is curable at a rate of up to 90%. While all adults ought to be screened for oral cancer every year, people who smoke or use smokeless tobacco and/or consume alcohol frequently are at an elevated risk. Another risk issue is exposure to human papillomavirus (HPV). HPV is a common sexually transmitted virus that has been proven to increase in oral cancer among young adults. A recent survey on oral cancer showed that whereas only about a third of the people surveyed recall being screened for oral cancer at their last dental exam, the outstanding majority would rather be screened at each check-up and would love their dental professional to use simple screening tools to assess their risk. •The oral cavity together with the tongue, cheeks, floor and roof of the mouth, lips, and back of the throat. During this examination, screeners explore for clinical features of oral lesions that may raise suspicion of potential malignancy, together with sharp or distinct margins, a red element (color variation), a non-homogenous white element (surface irregularity), persistent ulceration, and size larger than one cm. The practitioner additionally ought to view with suspicion any persistent or progressive lesion of the ventrolateral tongue or the floor of the mouth. If any areas are affected, the exam is followed up with a biopsy for any suspicious lesions. Although the oral cavity is definitely accessible for examination and analysis, the flexibility to spot this disease in its earliest stages may prove tough, as early-stage lesions might typically be symptomless or mimic alternative conditions. Finding the disease in its earliest stages with this screening methodology isn’t easy and has typically eluded the medical and dental professions. 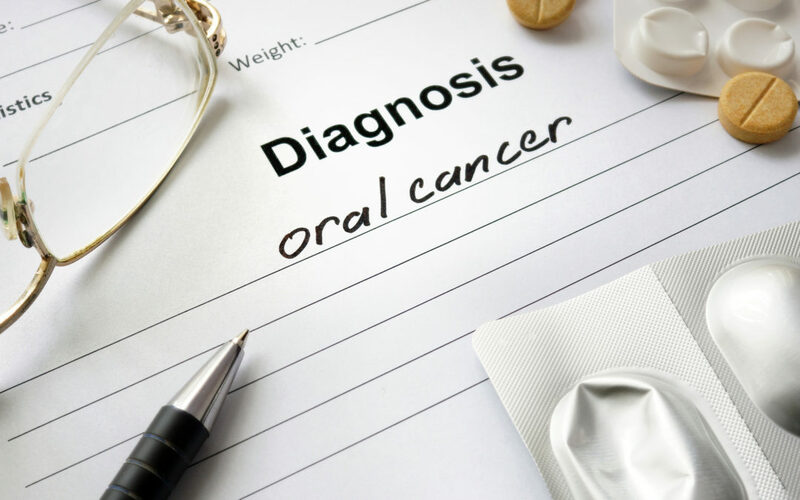 While there are many sorts of connected tools that have tried to deal with earlier intervention, so far they have all come short of creating a major dent in the mortality rates of oral cancer. Light-based system choices include spectroscopic and chemiluminescent (light-based aid requiring the use of acid or dye). This sort of analysis needs in depth training; it’s labor intensive and time consuming for the dentist or dental professional. Another option would be a saliva-based exam to be used once a lesion has already been detected. However, that exam misses the opportunity to test before a lesion has appeared and doesn’t test for specific tumor-initiating stem cell-associated biomarkers. Today, there are some innovative new tools being introduced that seem promising for earlier detection for oral cancer. It is of utmost importance that dentists and dental professionals become educated on the best ways to test and screen for oral cancer. It is also extremely important to encourage patients to get screened often, particularly if they’re at higher risk.